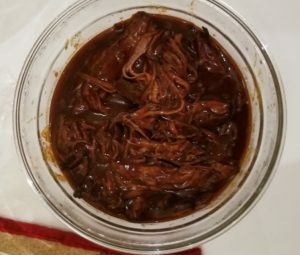 We decided to make dinner for Monday night ahead of time (the brisket has to cook for 8 hours in a slow cooker, and then its better if it sits, so we didn’t want to try to start it Monday morning). So we started making the brisket Sunday and then finished it Monday night. I (Max) did most of the work on the brisket because Alex was sick but then she helped out with potatoes and salad on Monday. You mix the spices together and then you rub it into the brisket. 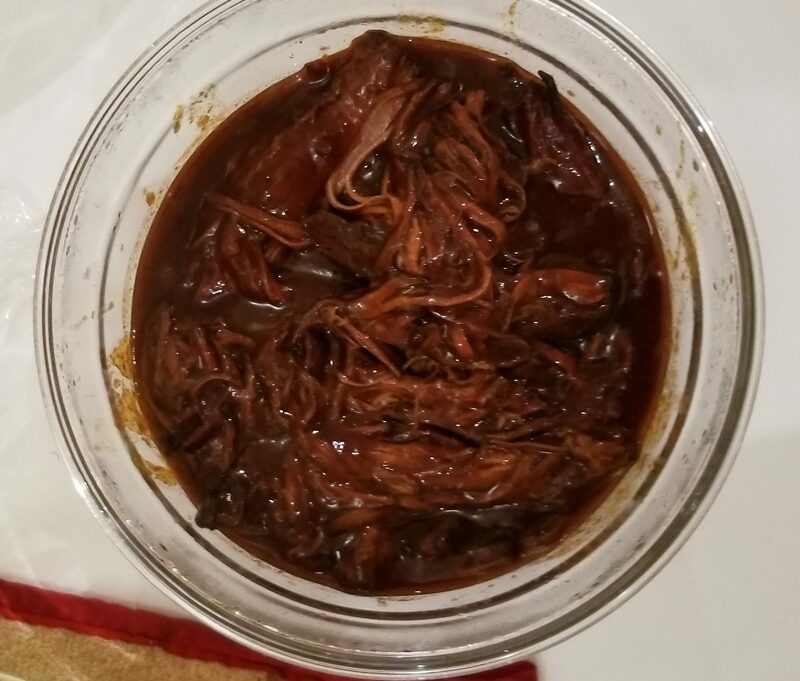 Then you add barbecue sauce (you can make your own or use your favorite store bought brand…we used store bought) and let it cook for at least 8 hours on low. Once the meat is falling apart, you remove the meat and shred it with two forks. Then you drain or skim the extra fat from the liquid and add the shredded meat back to the pot. (At this point we put the brisket in the fridge overnight). Then we reheated it on Monday and served it with soft rolls, and of course the mashed potatoes and salad. 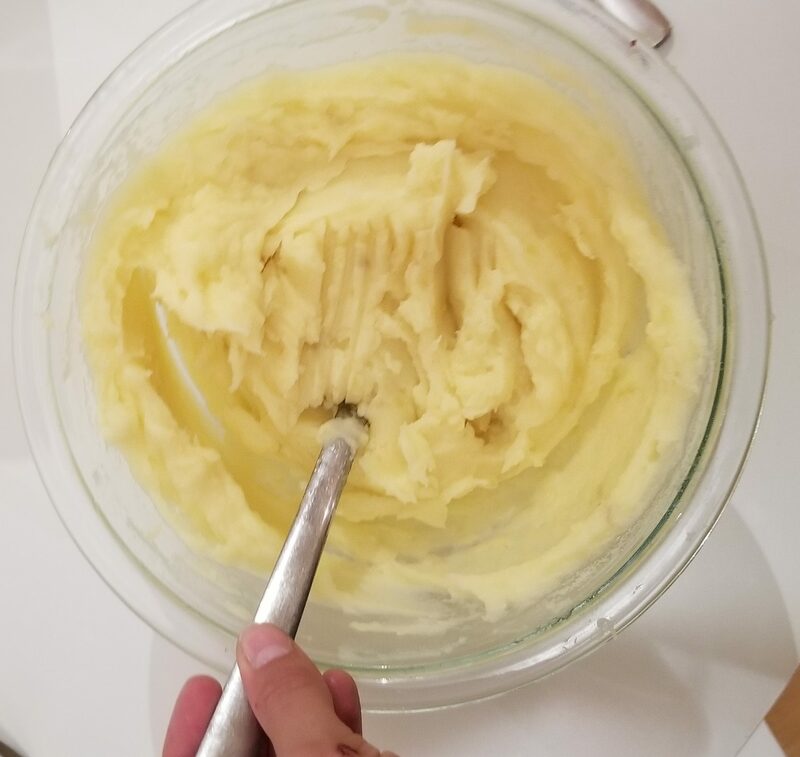 I (Alex) am not sure we need to tell you how to make mashed potatoes but here’s what we do: we peel Yukon Gold potatoes if available (if not Russet is ok), then we cut them into same size pieces and boil till fork tender. We remove, add cream, butter and salt and paper and mash…pretty simple. 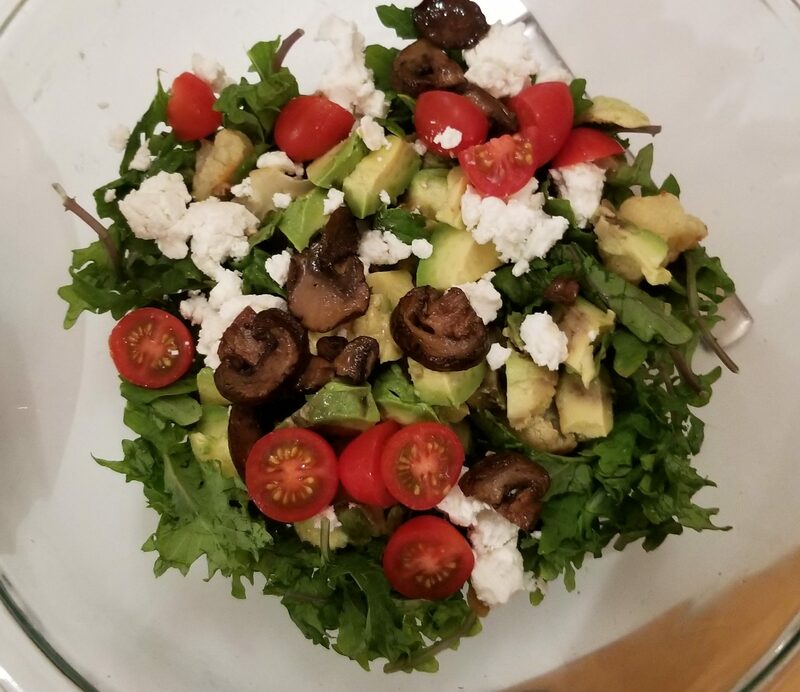 For the salad I pretty much took everything potentially salad-like in the fridge and put it in a bowl: that included arugula, tomatoes, avocado, goat cheese, and roasted mushrooms. It was a good combination.